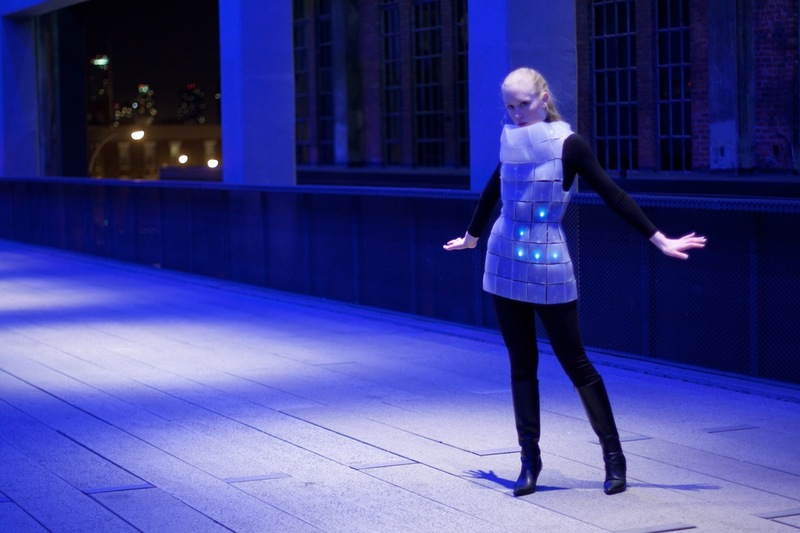 Life Dress on the High Line…In January. This is part of a photo shoot of the Life Dress that took place on the High Line in New York. A major interest in location spotting was extended studies in lighting. The purple lighting is from the overhead lamps in this part of the public park. It created an alien environment for a new, organically inspired fashion.